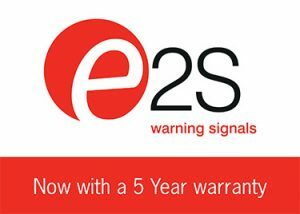 E2S Warning Signals is the world’s largest independent manufacturer of audible and visual warning signals for use in fire detection systems installed in commercial, industrial and hazardous areas. The new D2xB1LD2 beacon is UL1638 approved for private mode fire applications and general signalling duties. It is available in a choice of red or grey enclosure colours with field replaceable UV stable polycarbonate lens colour filters, field-replaceable without needing to access the enclosure and fitted with a stainless-steel guard as standard. Candela ratings of 73.4cd to UL1638 for private mode fire and 180cd for general signalling applications ensure that the D2xB1LD2 is the most effective LED signalling solution available for hazardous locations. An array of high power Cree® LEDs provides minimal inrush and operating current and optimises visibility in all directions. 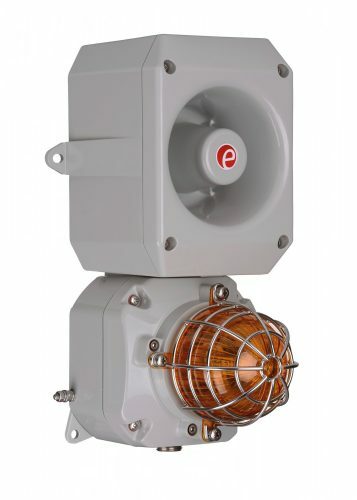 The beacon has five flashing modes: 1Hz, 1.3Hz, 2Hz, double strike and triple strike with an effective output of up to 180cd for warning applications. It also has selectable high power and low power steady modes with outputs up to 87cd for status signalling. DC voltage versions feature three remotely selectable stages, enabling different flash rates to be allocated to different processes or alarm conditions from one device.